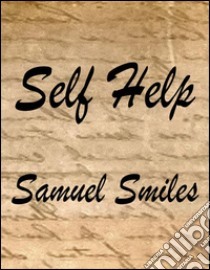 Self-Help was published in 1859 by Samuel Smiles. It has been called the bible of mid-Victorian liberalism. It sold 20,000 copies within first year. By the time of Smiles' death in 1904 it had sold over a quarter of a million. Self-Help "elevated Smiles to celebrity status: almost overnight, he became a leading pundit and much-consulted guru". When an English visitor to the Khedive's palace in Egypt asked where the mottoes on the palace's walls originated, he was given the reply: "They are principally from Smeelis, you ought to know Smeelis! They are from his Self-Help!" The founder of Toyota Industries, Sakichi Toyoda was significantly influenced by his reading of Self-Help. A copy Self-Help is under a glass display at the museum that exists on Sakichi Toyoda's birth site.